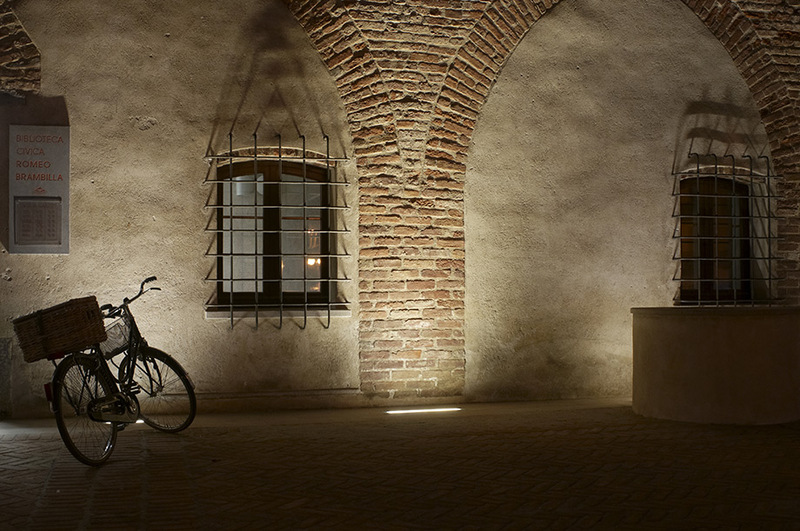 Permanent lighting. 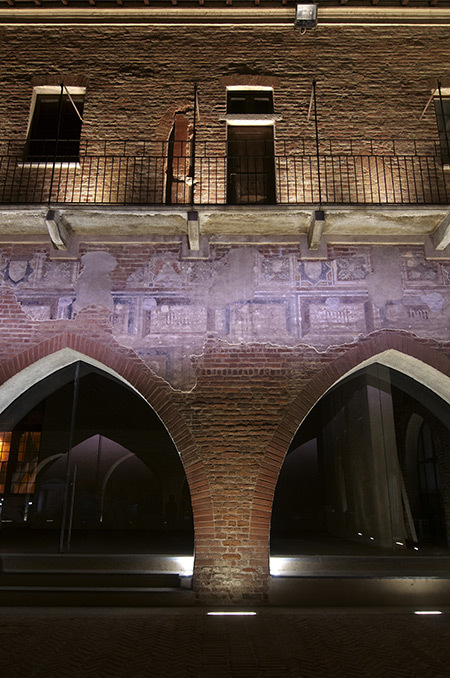 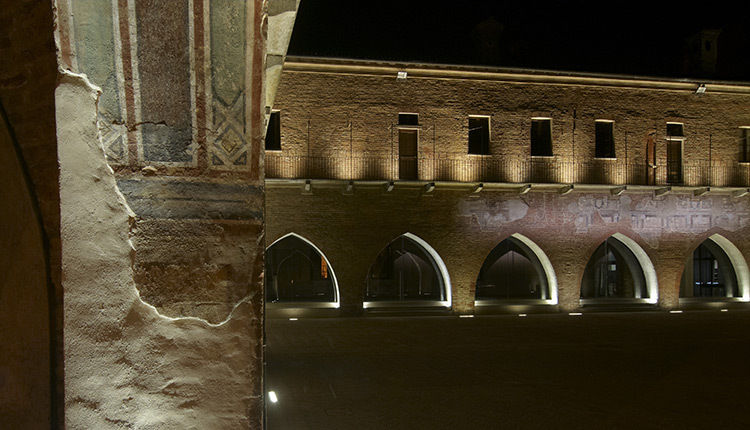 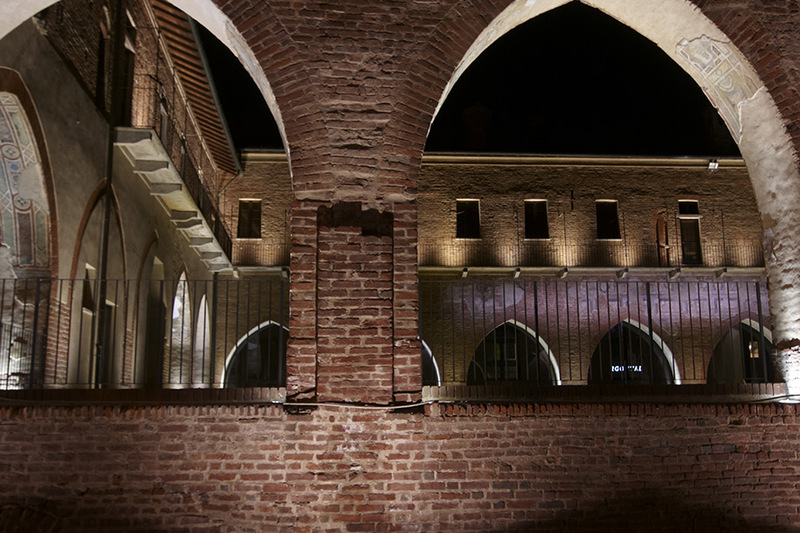 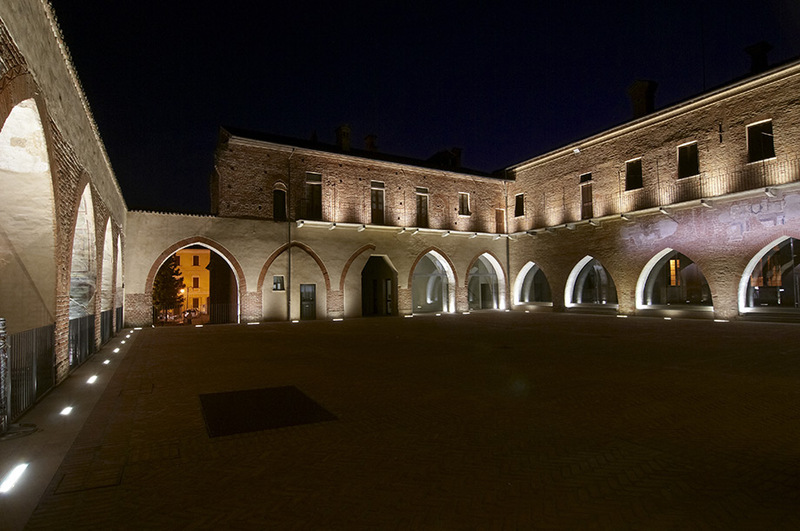 LED luminaires highlight the architectural lines of the courtyard. 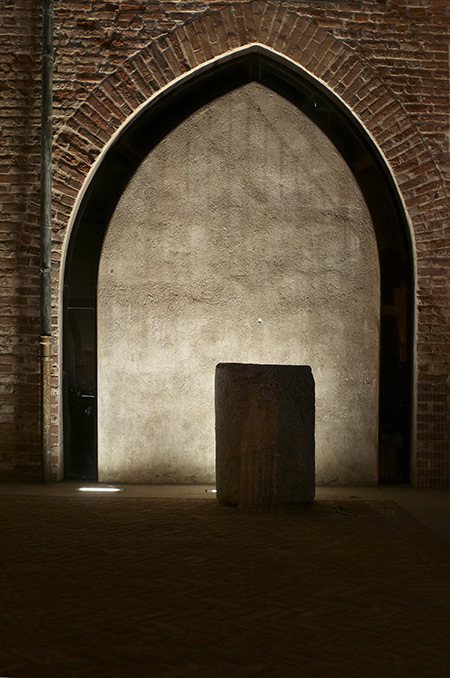 And play with the light/dark, evoking the daylight.